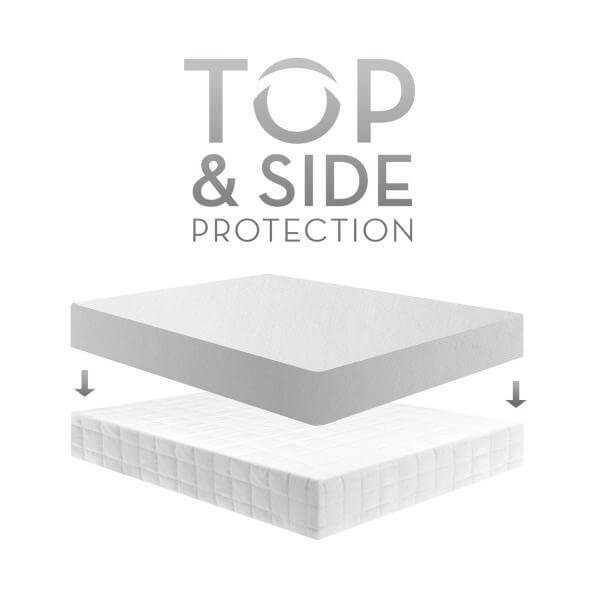 The Five 5ided® Mattress Protector with Tencel® + Omniphase® is the most advanced mattress protector on the market with three incorporated technologies—Tencel®, Omniphase®, and the H2Pro® membrane. 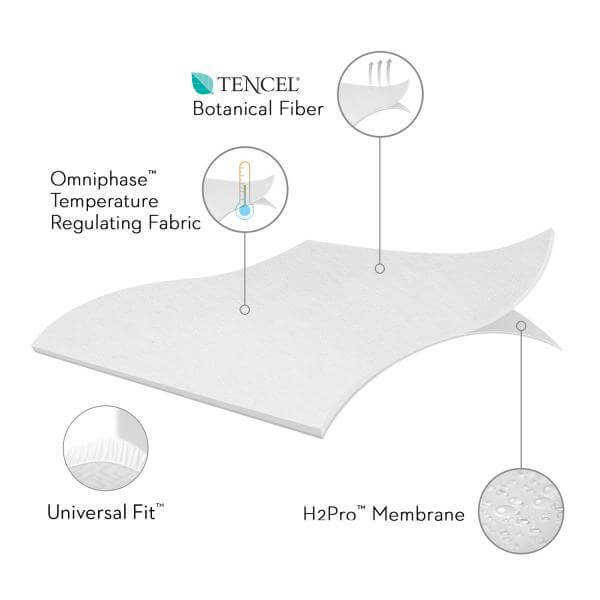 Omniphase® phase change material promotes a comfortable sleeping temperature in any climate; Tencel® fiber wicks away moisture from the body and the laboratory-certified H2Pro® liquid-proof membrane creates a quiet, and breathable barrier against allergens and dust mites. 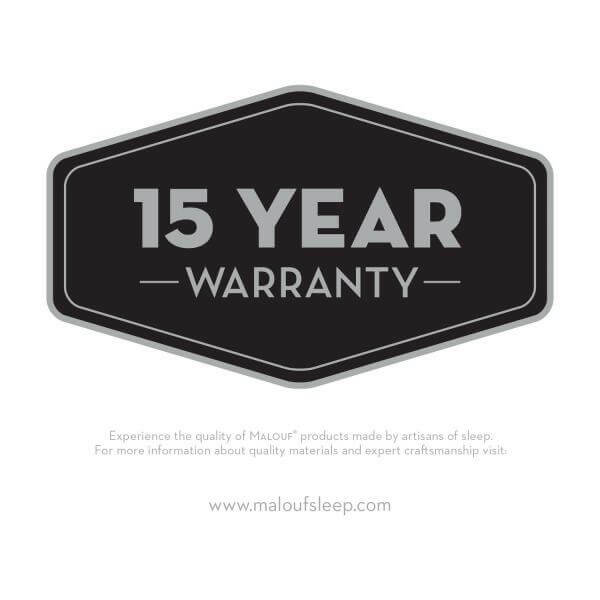 The combined benefits of these technologies means you will sleep comfortably and dry with five sides of protection for your mattress. 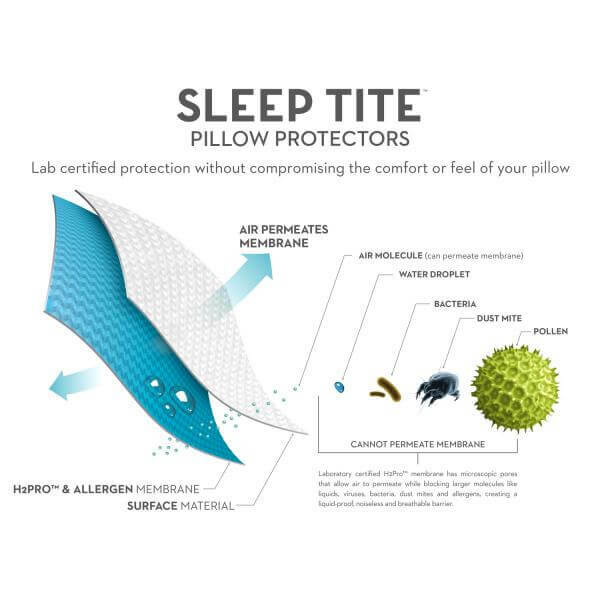 Pillow protectors are also available to create a healthy sleeping environment. 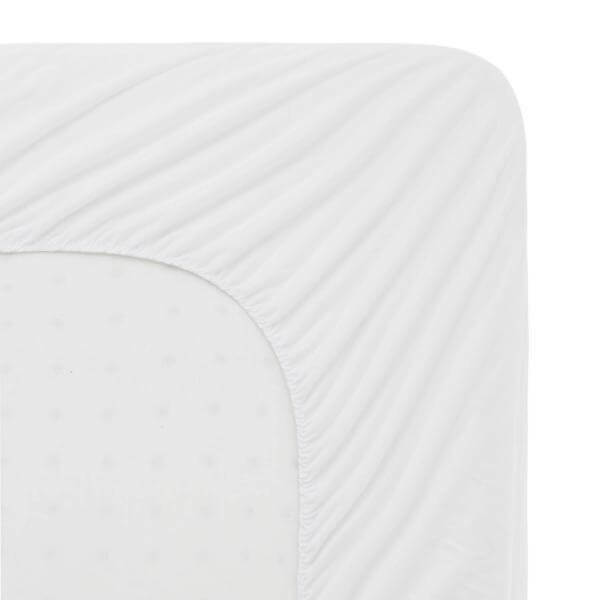 H2Pro Membrane=Laboratory-certified membrane is quiet and allows air to permeate while blocking liquids, allergens and dust mites.